Less than two years after Uber offered its first official ride in San Francisco, the startup turned its focus abroad. Uber CEO Travis Kalanick announced raising $32 million in funding in late 2011 -- then a large sum for the company -- to fuel its expansion across North America and into Europe and Asia. Its first international city, Paris, was announced that same day. Kalanick, not one for mincing words, chalked up the unusually early international push in part to a "sophisticated 'cloning' and copycat industry" from competitors. "You need to move fast to stake your claim on the global stage," Kalanick wrote in a blog post. What followed was one of the most aggressive, and costly, expansion efforts ever undertaken by a young startup. Uber entered dozens of countries, fueled by billions raised in venture capital and Kalanick's global ambitions. But today, Uber's position on the world stage is in doubt. Uber's rivals in Asia, Europe and South America are banding together and raising billions to dominate their respective countries. Uber, meanwhile, is wrestling with endless PR crises at home and pulling out of select markets abroad. 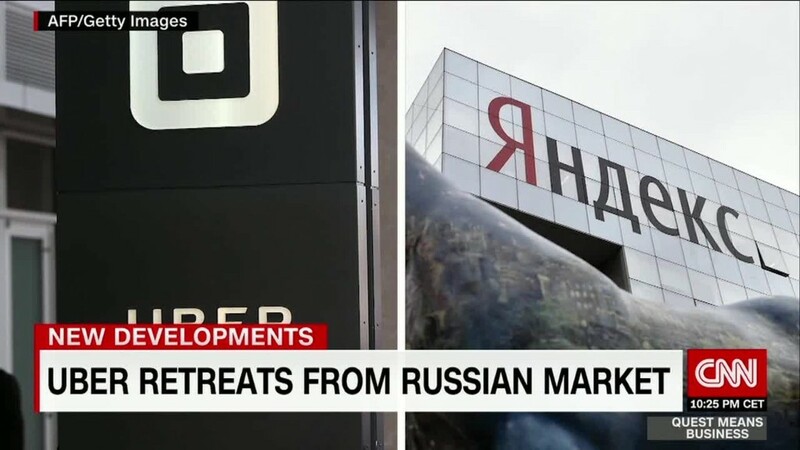 Last month, Uber halted operations in Macau and merged with its rival in Russia, Yandex. A year ago, Uber sold its business in China to rival Didi Chuxing after losing $1 billion a year to compete in the country. Uber's rivals have taken notice of these defeats. One source close to Grab, a top Uber competitor in Southeast Asia, told CNN Tech that Uber's setbacks in China and Russia underscore "the point that the local companies will really outcompete global competitors." Put another way, the dream of one American ride-hailing company going it alone to dominate the entire world is dead. 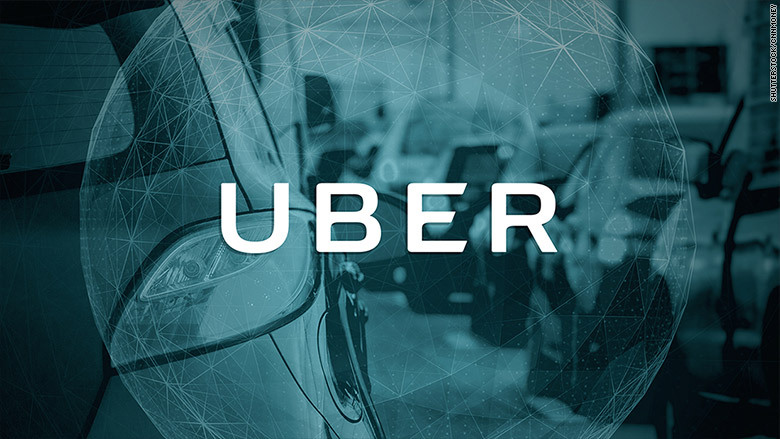 "Like other US Internet giants, Uber tends to do everything by itself from scratch," says Xiaofeng Wang, a senior analyst with Forrester. Wang says the more effective strategy has proven to be partnering with "local players to leverage the local ecosystems and their local insights." For Uber, it's a reminder that one of its greatest strengths is also a weakness. Uber doesn't need to own an inventory of cars or support full-time employees in each new country. They just need an app and enough money to market the service. Others can play that game too. This year, money is flowing into the local alternatives to Uber -- particularly from SoftBank, a Japan-based conglomerate. Grab raised $2 billion in funding last month from SoftBank (SFTBF) and Didi. SoftBank also invested $5 billion in Didi earlier in the year. Didi recently invested in Taxify, an Uber rival in Europe. Both SoftBank and Didi invested in 99, a service in Brazil. "They're investing in the local champions," Matheus Moraes, head of legal, policy and communication at 99, says of SoftBank's strategy. Moraes says 99 benefits from SoftBank's experience and ambitions, which pushes it to "have an even bigger vision of what we can accomplish in Brazil." The startup expects to expand into other parts of Latin America too. Likewise, the source close to Grab says the company looks to partners like Didi for "best practices and learning" on how to deal with thorny issues like fraud -- just one SoftBank-backed ride-hailing company helping another. As Daisaku Masuno, an analyst with Nomura, put it in an investor note last month, SoftBank is effectively "building an anti-Uber alliance." And the situation may only get more complicated for Uber. Masayoshi Son, SoftBank's CEO, recently said he's interested in investing in either Uber or Lyft. If SoftBank gains a significant stake in Uber, it could try to pressure the company not to compete as much against SoftBank's other investments abroad. If SoftBank invests in Lyft, it could supercharge an already fierce rivalry in the U.S. The increasingly competitive global landscape comes at a time when Uber is hobbled by an empty C-Suite, boardroom battles and concerns about steep financial losses. Uber is currently operating without a CEO, CFO, COO, CMO or president. Kalanick, the original champion of Uber's global expansion, resigned as CEO in June after the company was roiled by sexual harassment allegations. The company is in the process of looking for a new CEO who could guide its global strategy, but that search has been complicated by Uber investors clashing over whether to force Kalanick to forfeit his seat on the board. At the same time, Uber must prove it can improve its bottom line. Uber lost $2.8 billion in 2016, and that didn't even include its China business, which was sold midway through the year. Uber lost $708 million in the first three months of this year.